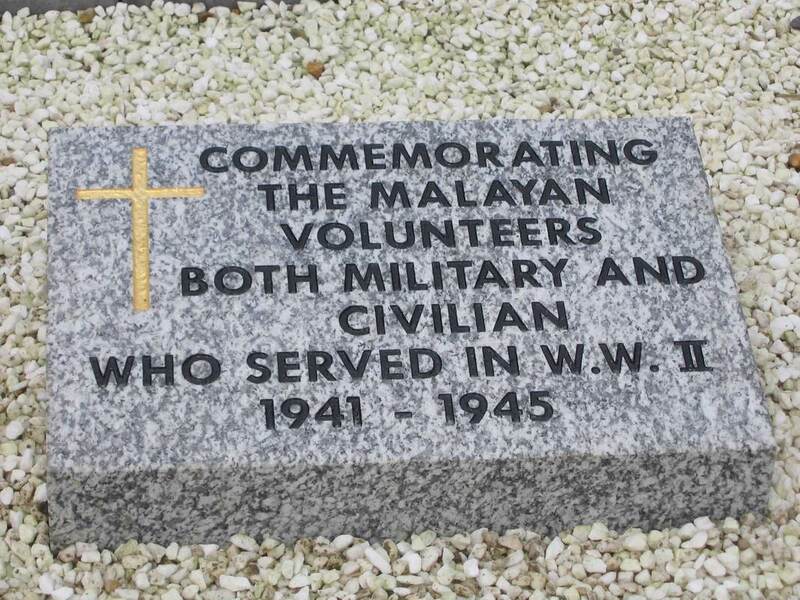 The Malayan Volunteers Group holds annual services in the National Memorial Arboretum, at Alrewas in Staffordshire, where it has a Memorial Garden Plot on the FEPOW Bank, to mark the anniversary of the Japanese surrender on 15th August 1945. This date signalled the final victory for the Allies in World War 2. These services are composed and held by ourselves in our Garden Plot, with the exception of the special services arranged on the 65th and 70th anniversaries of V-J Day. 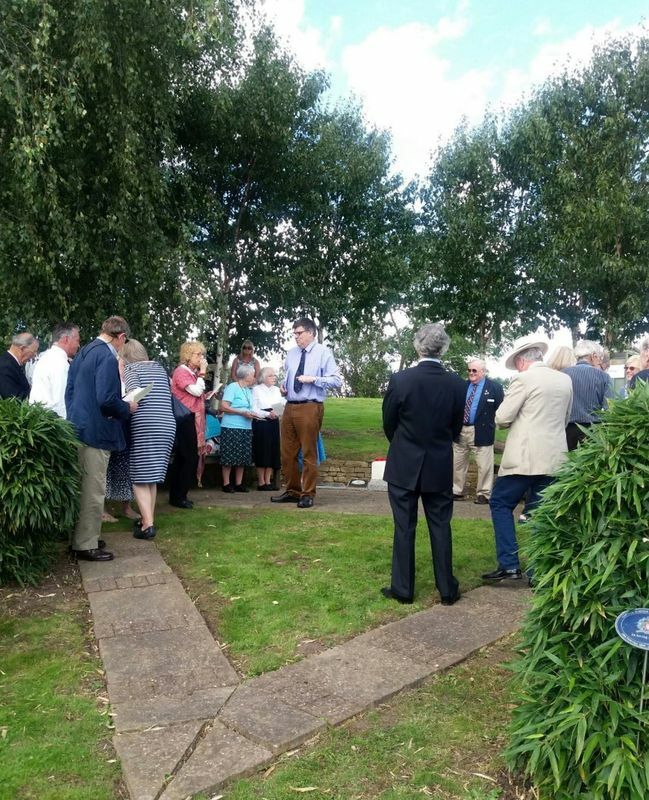 These were held in the Chapel at the Arboretum and it was a great privilege that Canon Christopher Samuels (former Chaplain to HM The Queen) officiated at these services. 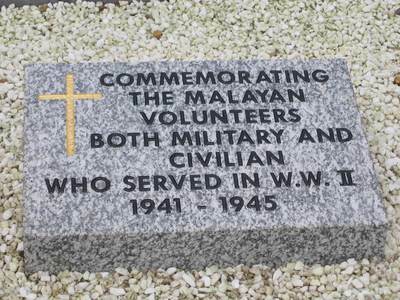 The first service was held in 2005 when our granite Memorial Stone was unveiled by MVG member Revd. Geoffrey Mowat, a former FEPOW himself. 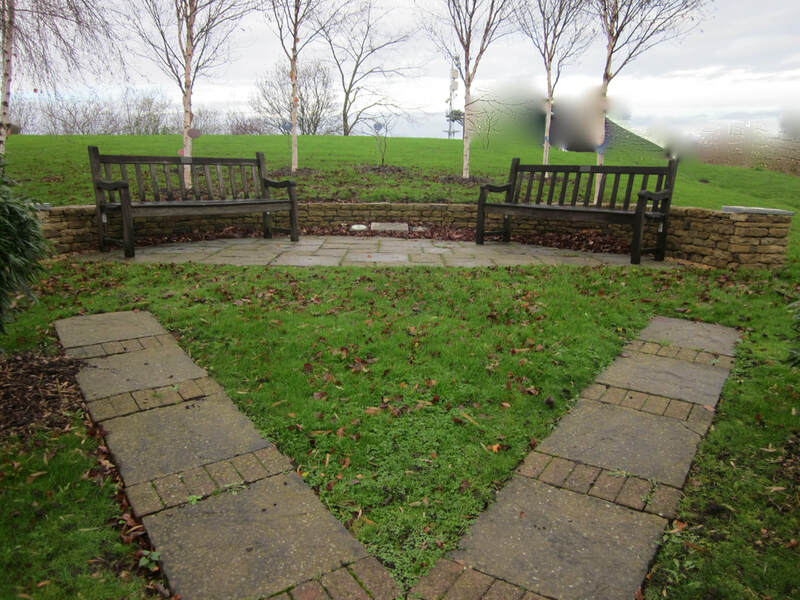 The Memorial Stone was placed in the NMBVA Plot before the MVG had its own plot at the NMA. 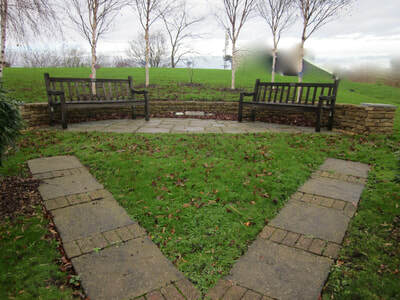 In 2007 the MVG’s Memorial Garden Plot was dedicated, and services have been held in the Memorial Garden each year since then with the exception of the special ceremonies in 2010 and 2015. 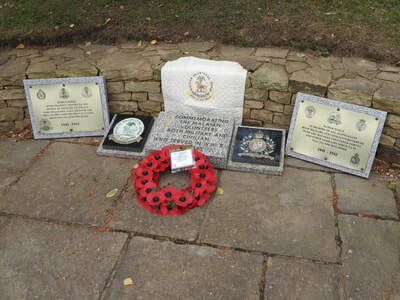 The services follow a similar pattern each year, with a 2 minutes silence and the laying of a poppy wreath forming an important part of the service. Readings and hymns reflect the huge suffering of all the FEPOWs, particularly the Volunteers and the civilian internees. 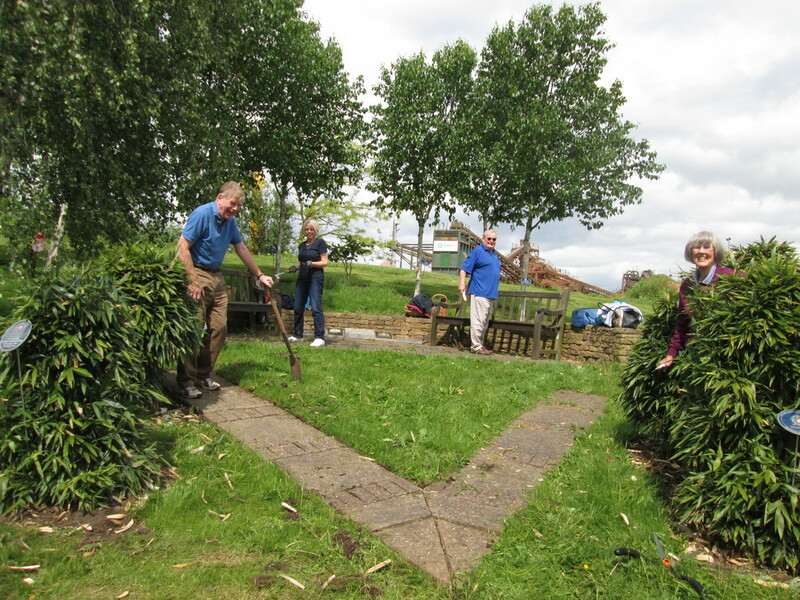 In 2018 it has been decided to hold services in the NMA’s Chapel in future due to the noise of the LaFarge gravel –washing machinery just behind the Garden Plot.